When my youngest sister was in elementary school, parents would come into the classroom and read stories. My mother decided to read Bony Legs and Lara (my sister) remembers how much her friends loved it. Mom went all out; an elaborate costume, props, a dramatic reading with fun voices and lots of movement, etc. My mother, however, mostly remembers that there was a fire drill that day and she had to stand in the parking lot in full costume and that a surprising number of people she knew happened to work at the school. But that's just how my mom does things. She once told me that she loves to go the extra mile- because that's where all the fun is. I was so lucky to grow up in a home where my mother made everything, from homework to chores, fun and engaging. She is Mary Poppins, Mrs. Pigglewiggle and Maria von Trapp rolled into one. I'm thrilled to share some of her thoughts on children's books with you today! How many kids do you have and what are their ages? 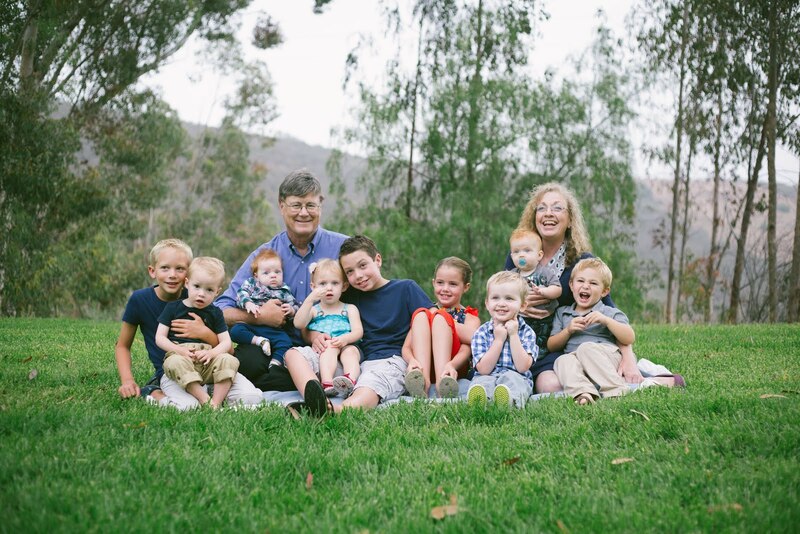 I have 7 extraordinary children who have brought along 12 remarkable grandchildren...so far. If I had realized being a grandmother was going to be so much fun we might have opted to have even more children. Where do you live? How did you end up there? I live in Framingham, Massachusetts, about 30 minutes outside of Boston. We relocated here from San Diego a few years ago for my husband's job, but I'm originally from New England. What are 3 ways you fostered reading in your home? I don't think I consciously designed to do anything to encourage reading in the home. Reading and the love of books was just natural part of who we were as a family. When people would visit they would often remark on how many books we had, especially the ones who helped us move from time to time... (Tee: When I was in high school I accidentally set our kitchen on fire and we had to move out while our house was repaired and cleaned. I remember the cleaning company complaining that what took forever was having to clean the smoke/soot from every single book, they couldn't believe how many there were) Whenever we moved it did not seem to be our home until we unpacked our old friends, our books. But family traditions evolved naturally around reading. For example, when we went on vacation it usually included a stop at a local bookstore so everyone could pick out a new book (or two) for the trip. Sometimes Dad would read aloud an especially interesting chapter book as we plopped on pillows and ate snacks. That was also one way that kids had special one-on-one time with Dad, taking turns reading a chapter book out loud together after he got home from work. Reading was always a magical part of the bond that tied us to one another. How about 20? I love children's books. For me, the illustrations are absolutely critical. It doesn't matter how good the story is if the pictures aren't engaging. There are many versions of several of the books below that are probably all very nice, but I've picked the versions that I love and what usually sets them apart are the illustrations. Sadly, many of the books below are out of print. But my children have found good copies of these childhood favorites at library used book stores and Goodwill. Just So Stories by Rudyard Kipling. The Just So Stories I like is illustrated by Nicolas and the pictures are fascinating to me...especially as a child. My favorite is the Elephant's Child with How the Rhinoceros Got His Skin and How the Whale Got His Throat close behind. The Surprise Doll by Morrell Gipson. One I loved as a girl, my daughters loved, and now their daughters love. The Mitten by Jim Aylesworth. This particular version of the mitten is my personal favorite because of the expressions of the animals... They make us all laugh. Button Soup from Walt Disney, I don't usually love Disney books but for some reason children seem to universally love this story. McGelligot’s Pool by Dr. Seuss. Easily my favorite Dr. Seuss book, but I Wish That I Had Duck Feet is also very good. Bony Legs by Joanna Cole. Bony legs is deliciously terrifying though it ends well but may be a little scary for the under 2 crowd. My parents and their parents all loved books and stories, my father was an especially amazing story teller. I think I really learned to love stories and get lost in them from the bedtime stories he would tell us. My two younger sisters were born with severe physical limitations requiring many surgeries. My mother was rarely able to leave the house except to go to the hospital or other doctor appointments. People would ask her how she managed those eighteen years or so without going crazy. She always answered, "I travelled around the world and met the most interesting people while sitting in my wing-backed chair. I travelled all around the world in books." I have several books I cherish that my grandmother or an aunt inscribed and gave to me. I am also lucky enough to have copies of some books that were inscribed as gifts to my parents as children. As a grandmother, I love to find books that I know (or hope) my grandchildren will love. Love this! 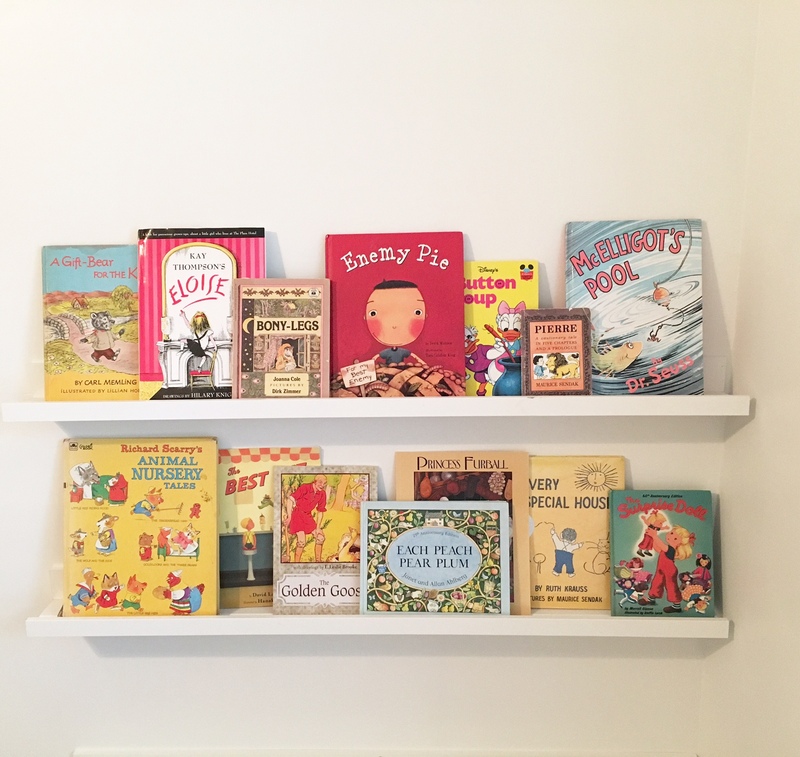 The book list brings back so many wonderful memories.